Number of the Beast 666 - danger of death for the Transition! Number of the Beast 666 – great danger for the Transition! The mystery of the Number of the Beast 666 - both apocalyptic and human - reveals the digital and analog symbolic of consciousness of extraterrestrial civilizations. The Number of the Beast belongs to human, because it reveals the structure of individual cell of a human and reflects the features of human consciousness. On the other hand, the Number of the Beast is apocalyptic, because understanding of its meaning is given humanity only on the eve of global cataclysms. The Number of the Beast 666 in symbolic of extraterrestrial civilizations is a triple warning of deep individuality of our consciousness being a huge obstacle for unification of humanity consciousness and consequently mortally dangerous for the Transition in the next cycle of life. The number of the Beast 666 is an alarm of a bell which urges mankind to overcome deep imperfections of previous levels of consciousness included in us and forming our decisions, and to unite consciousness for continuation of life. Since immemorial time, people are trying to decode and unravel the mysterious and enigmatic «Number of the Beast» 666, referred in the Bible. What means this scary number, often identified with the Apocalypse? The mystery of the «Number of the Beast» 666 still remains one of the major mysteries of the Holy Scriptures. 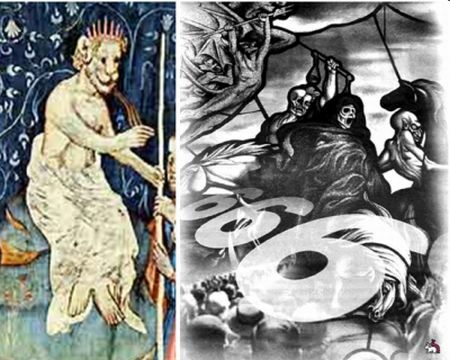 John the Apostle in the part of the Bible in the Book of Revelation outlined the number 666, on the one hand, an apocalyptic beast, and at the same time, the number of human. Many philosophers argued on deep sense of the number of the Beast 666, offering a variety of decoding. Studies of the number of the Beast 666 by different frequency methods is carried out also today. Meanwhile, the Number of the Beast 666 in detail discloses digital and analog symbolic of extraterrestrial civilizations. The number of the Beast 666 is based on two important concepts. First of all – the system of the Universe, as well as the representation of human being at the information level of the Universe. The Universe is a huge system of interconnected worlds of different nature. It was created with a single purpose – the improvement of consciousness. The Universe consists of three major worlds: Absolute, the Information world and the Material world. The Creator made this system of the Universe and operates it. In the material world we live and in the Information world our consciousness works. The material world has the space-time structure. 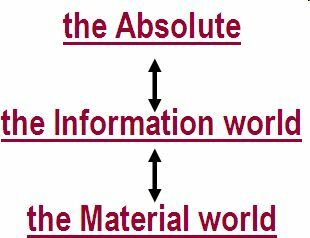 The Information world is an information library of the material world. It provides comprehensive information about every material object, including, you and me. At the Information level of the Universe a human being is represented by an individual cell. Like a human being, individual cell consists of a small brain area, a body area and the outer boundary. The boundary separates the individual information cells, as well as people from each other. The main feature of human consciousness is the mobility of the brain area at the association of consciousness. The unification of consciousness means that one thinks of someone, talking to someone or makes a decision. The first level of consciousness is a level of consciousness of stars. The second level of consciousness is a level of consciousness of inorganic nature of planets. The third level of consciousness is a level of consciousness of organic nature of planets. The fourth level of consciousness is individual consciousness of human being. The fifth level of consciousness is united consciousness of humanity. This is the highest level of consciousness in the universe. The united consciousness differs from all previous levels of consciousness by making an action , i.e. at association of consciousness arises an action which realizes the goal due to which consciousness has been united. Hence, at consciousness association arises an action which realizes the set goal at association of consciousness. 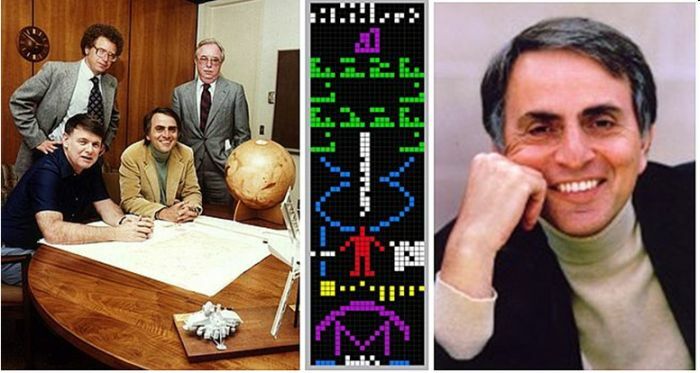 Carl Sagan, famous American astronomer, awarded the honor to code the Arecibo message from the civilization of Earth, pointed that all of us consist of stars. Extraterrestrial civilizations, telling in all messages about consciousness, supplement this information. It turns out that our consciousness includes not only consciousness of stars, but also of minerals, plants and animals. Thus, the human consciousness corresponds to the fourth level. In addition, an individual human cell consists of three previous levels of consciousness. Therefore, in our lives is often manifested reckless and violent explosive consciousness of the stars, the indifference of minerals, and wild ferocity of animals’ consciousness. So three previous levels of consciousness have a tremendous influence on our lives and decisions. This information about three previous levels of consciousness included in our information cell is often represented in the pictograms of extraterrestrial civilizations. On the picture below three levels of consciousness are shown by three red cubes. About three previous levels of consciousness entering into an individual cell of a human, informs also the digital code of ETC consciousness symbolic – a trident. Extraterrestrials, emphasizing the incredible importance of this symbol, portrayed it separately as a huge image of 250m Candelabrum of Paracas in Peru. The Candelabrum of Paracas opens the Nazca gallery of pictograms of consciousness. Three united teeth of a trident indicate on three previous levels of consciousness included in human’ cell. The Trident is an analog of an information cell of human being. Carbon and its compounds make a basis of life on Earth. Extraterrestrial civilizations in pictograms inform that the structure of human individual cell is determined by structural features of carbon. It is known that carbon has a serial number «six» in the Periodic system of chemical elements of D. Mendeleev - the great law of unity of substance in the universe. In symbolic of consciousness of extraterrestrial civilizations the figure «six» 6 also designates carbon. So, the main characteristic of our carbon basis is number six 6. 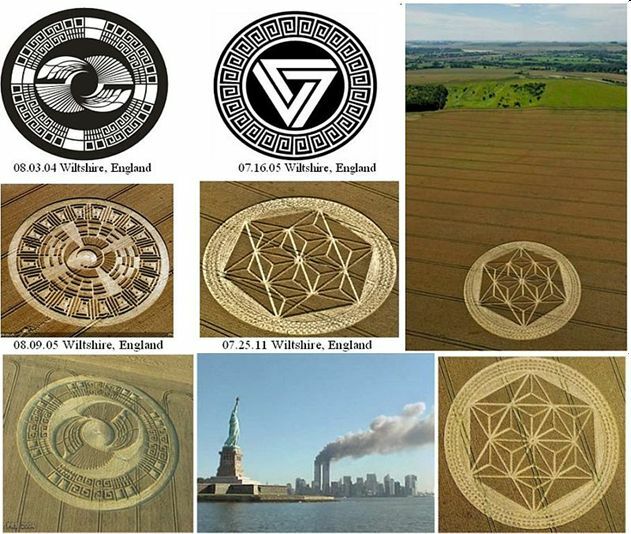 The information about carbon basis of our life is presented in many crop circles and other pictograms of extraterrestrial civilizations. Thus, in order to emphasize the carbon basis of our lives, the boundary of information cell of a human being is represented for example, in the form of a regular hexagon. However, the number of the Beast repeats three times the number 6. What does it mean? Three times repeated digit 6 in the Number of the Beast 666 means the following. Individual human cell has a carbon basis which in digital symbolic of extraterrestrial civilizations is designated by number 6. Besides, the individual human cell includes three previous levels of consciousness. Therefore, the individual cell of human in digital symbolic of extraterrestrial civilizations is represented by three digits 666, i.e. the Number of the Beast. Thus, our carbon basis of life corresponding to number 6, is a basis for each of three previous levels of consciousness of organic and inorganic nature, included into a human cell – stars, minerals, plants and animals. The mysterious the Number of the Beast 666, associated with the devil, reveals the features of the three previous levels of consciousness of inorganic and organic nature, included into individual human cell, i.e. each of us. That's where we have a sometimes blind rage stars, the indifference of crystals, as well as the ferocity and deep individuality animals. The Number of the Beast 666 warn about mortal danger for the Transition! The feature of the number of the Beast – a wide border of an individual cell. Carbon basis of life and three previous levels of consciousness included in a human’ cell, are revealed in extremely wide outer boundary of both cells – individual and united consciousness cells. A boundary that separates people from each other. The Number of the Beast 666 informs that the three previous levels of consciousness, entering into human cell three times strengthen features of carbon basis of our life. The Number of the Beast 666 are three exclamation marks!!! The Number of the Beast 666 characterizes the deepest individuality of each of the three previous levels of consciousness of inorganic and organic nature. This gives rise in our character to cruelty, hate, absence of mutual understanding, heartlessness and indifference to the fate of others. 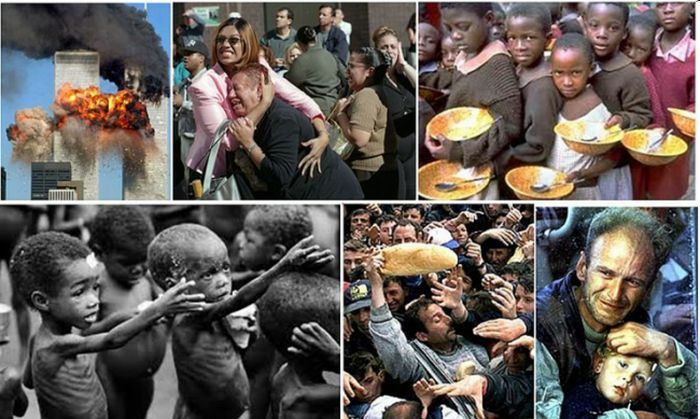 A wide border of our individual cells is expresses in wars and acts of terror - the deaths of many thousands of people in the events of 9/11 in New York, in Beslan; in hunger, merciless, senseless destruction of animals and other manifestations of monstrous evil. The Number of the Beast 666 is associated with the devil, because shows the deep essence of the imperfect human consciousness. The Number of the Beast 666 is the true face of the beast in human’ consciousness! His animal basis. In the universe exist also civilizations with other basis of life, such as, for example, silicon. Consciousness of these civilizations are more perfect, and their information cells have thin borders. It allows cells to plunge into each other at unification of consciousness. The deep united consciousness allows to transfer freely through parallel worlds of the material world which is necessary for teleportation flights in universe. Extraterrestrial civilizations inform that very soon on the Earth global cataclysms will begin. It will be impossible to escape from the extreme power of nature in bunkers or submarines, because cataclysms will never stop, and will amplify only. It is the mechanism of destruction of our planet. Global cataclysms will transfer the planet Earth from the group of planets with the present development of consciousness into the group of planets with past development of consciousness, such as Mars. Extraterrestrials confirm that the only way to save humanity from global cataclysm is the Transition to the new Highest level of the material world where there are no catastrophes. For this purpose it is necessary to make a body transformation. Individually is impossible to make the Transition to other parallel level of the material world. The Transition can be made only through the unification of consciousness of all civilization. For the Transition all individual cells of people of the planet should unite together, and all boundaries between information cells should be dissolved. It means that there will be transition from individual mode of consciousness in the united mode of consciousness. Объединение сознания для Перехода в цифровой символике внеземных цивилизаций обозначается цифрой . Следовательно, сознание человека должно преобразовать число зверя 666 в 5. The unification of consciousness for the Transition in digital symbolic of extraterrestrial civilizations is designated by number . So, human consciousness should convert the number of the Beast 666 into . 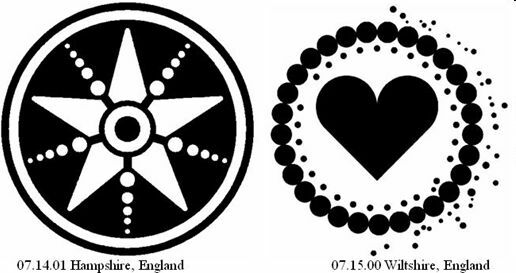 United consciousness – the fifth level of consciousness is represented as five pointed star. This is a great Victory of human consciousness. The carbon basis of our life and wide borders of information cells will not allow mankind to unite consciousness deeply which is necessary for transformation of our body and the Transition. Extraterrestrial civilizations warn humanity: wide borders of your individual cells are not so simply to dissolve. Only the laser beam can destroy borders of cells which incredible width is characterized by number of the Beast 666. That is why association of consciousness of civilization should cause a laser beam for the Transition. Thus, the laser beam will destroy our bodies at level of Crystal Structures. Simultaneously all of us will be resurrected on other the Highest level of the material world. At this new safe level without global cataclysms we will prolong our life, but already in the new cycle – the cycle of Correction. The new cycle of life will mark the occurrence of fire of hell, and everyone will be responsible for the actions which he made today. If humanity can not cause the laser beam, the Transition to the Highest level of the material world will not take place. We will stay face to face with global cataclysms at the level of Crystal Structures. 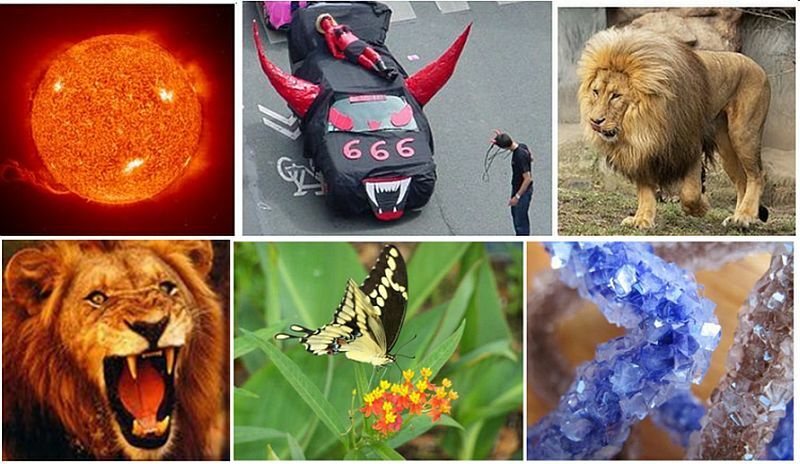 Extraterrestrials warn that the outcome of the unequal struggle with furious and destructive power of the planet nature is known in advance - the stubborn humanity will perish, leaving the seal of a deep individuality - Number of the Beast 666. Thus, the Number of the Beast 666 is a triple warning of the deadly danger of our deep individual consciousness. It will make terrible obstacles in every possible way in order to stop association of consciousness for the Transition to safe level of the material world. Having overcome by consciousness the Number of the Beast and having made the Transition in a new cycle of life, mankind will enter a new era – light, love and compassion. Just the Transition will open to mankind a way to the beautiful future, flights between galaxies and gradual transformation in the rank of the highest civilizations of the universe. 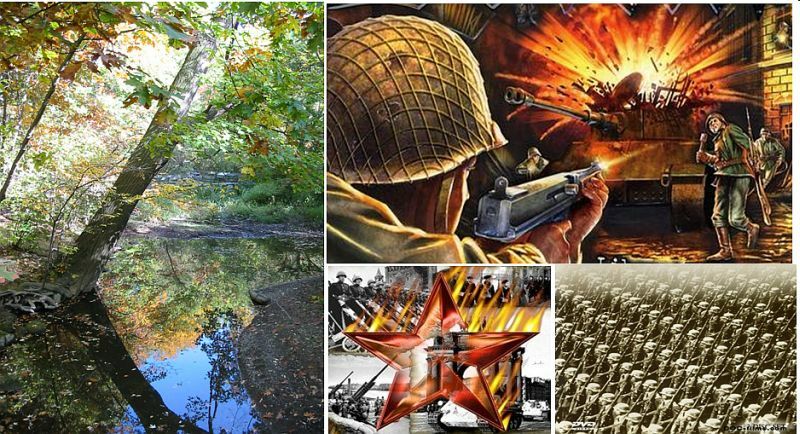 However, bloody war, cruelty and hate which were shown by mankind through the millennia - all this is over. Today, we are already on the threshold of Doomsday events - as we are informed by the solution of the Number of the Beast! All the imperfections of our consciousness, presented and explained to us by the number of the Beast, formed the hardest life of mankind throughout all generations. Instead of the joy of living in fine possibilities and of beauty on the blue planet Earth, our life through all epoch passed in the bloody wars of hatred and deep individualism of each member of the community of earth dwellers. The solution of Number of the Beast is given us only for the future. The past has already gone… Before us a few steps away is our very special future. Very different from the future of the past generations who were born and died on our beautiful planet. We are special generation honored to complete the development of human consciousness and to make the Transition in the next cycle of life – the cycle of Correction. However, this Transition is not simple. The main idea – we should in time make the decision about the unification of consciousness of all civilization. Just to make in time the decision about the association of consciousness for the Transition we were given the solution of the Number of the Beast, The Number of the Beast three times!!! warns about enormous difficulties of unification of consciousness of civilization. The Number of the Beast warns that, despite the highest level of consciousness we already reached in harmony of Earth, life of our civilization can suddenly break off. This incredible danger due to the fact that we are already on the threshold of approach of global cataclysms. The scenario of global cataclysms beginning is already known to us – at first will come three preliminary cataclysms of improbable power, and then global cataclysms will begin. Extraterrestrial civilizations warn in pictograms that events of this scenario will develop very quickly – within a year, i.e. only 365 days. Only for continuation of life was created a number that has received such an unusual name - «the Number of the Beast», which in its name concentrated the main obstacle for the continuation of life of our civilization. The Number of the Beast reveals the main features of our consciousness, which should be understood and overcame in order to continue life! The Number of the Beast warns from delay of decision-making about the Transition towards the creation and perfection of the world.